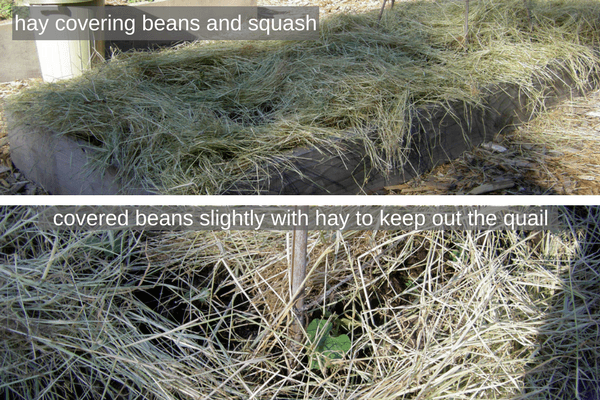 Not that I was going for a crop of hay off my raised garden beds. Because, why would one? Well maybe if you had a goat or some other livestock, but it’s much more productive to raise food in them. You have to know that there is a story around it. My 2017 garden story that all began with planting winter rye. I will let you know at the end of the growing season if I will ever do that again! Plant winter rye that is. According to the expert winter rye planters, you wait until the rye has made some seedpods, but no seeds yet to cut it down to start your garden. Others have said that you just need to wait until you can bend the stalk over and crimp it. 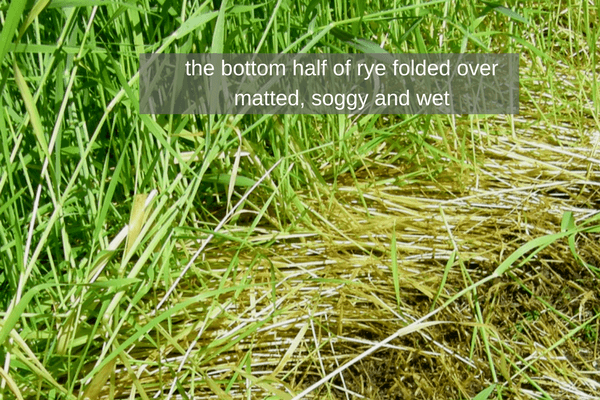 Both cases will stop the growth of the rye, leaving the roots intact to feed the soil and you can plant. But… in looking back on all the experts that I decided to follow this year, they live mainly in the midwest and not on the rainy west coast. So, as in the previous articles, I took a couple of beds, cut them with hedging shears (manual) and then turned the soil a few times to make sure the rye didn’t sprout again and planted seeds. These beds are doing great. 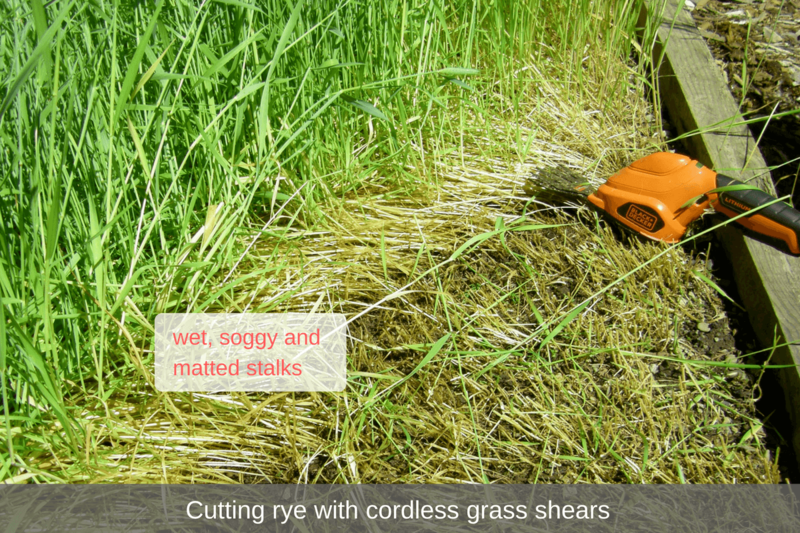 Then, wanting to plant seedlings I did a little more research as I needed a new method of cutting the rye as it was very time consuming doing it manually. So… back to youtube and I found they were doing it with electric hedging shears. Perfect… finally found a pair in the back shed and gave it a try. The rye just bends over as the shears ripped and tore it out of the ground. The problem was that living on the west coast the rye was looking a little different than on the youtube videos. The top part of the rye looked great, but the bottom half was wet, soggy and matted together and this made it hard to cut. I think part of the problem was that I had left it too long before I cut it. That said, I had a raised bed of rye that I had only planted this February and it was only about 14 inches high and it was the same matted mess at the roots as well. So… looking around at all my raised beds I was trying to figure out what was going to be the easiest, quickest and most time efficient to cut it all down. I tried all things. And before you ask, I didn’t try a weedwhacker. I know… that seems to be the most obvious, but the experts said that you wanted the results to be nice and straight for easier planting and the weedwhacker chops things up. Also, ours is a gas powered one, that still hasn’t gotten the new oil put in for this year and I have no idea how to run it. It’s a Rob thing. 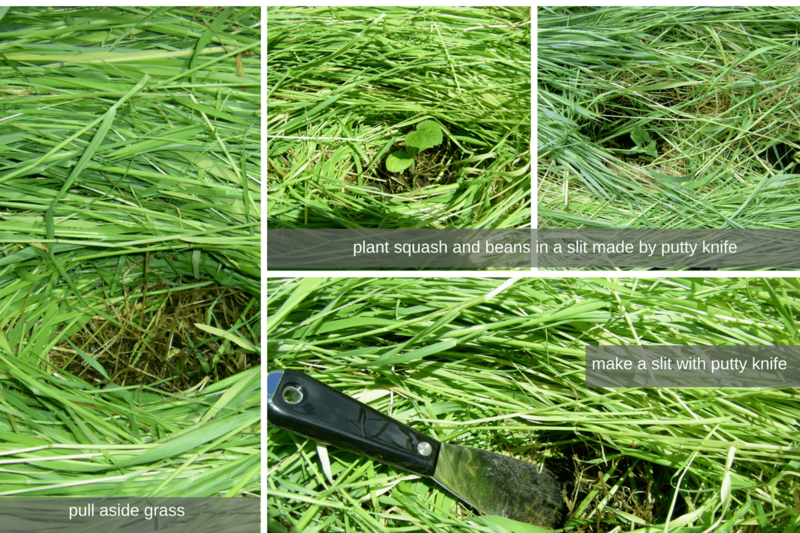 I discovered that there was actually manual grass shears, not the hedging ones I was using earlier. They are like a big pair of scissors that you can turn on different angles to get the cut. Here is a link to Amazon if you want to check them out. I got a pair and have found them very useful for all sorts of things. They worked great if you grabbed a tuft of grass and cut it at the roots and I made it around one bed, then looking at all the rest of the rye swaying in the breeze I figured it would be days before I got it all done. Keep in mind all this was happening over a couple of weeks and day by day the rye is getting taller. While waiting for the new shears I decided to plant the bed that I had previously sheared. Very excited as I’m thinking that this new method that I’ve discovered is going to be the be all to end all for ease of gardening. I was going to write an article entitles “How To Grow Vegetable With Just A Pair Of Grass Shears And A Putty Knife“, but alas that is not going to be. In theory, it was great. You cut the rye and leave it on the bed or ground. Then you pull it apart where you want to put the seedling so you can see the soil. Taking a putty knife, you make a divot in the soil between the roots of the rye and plant your seedling. Worked a treat. Stuck in the putty knife, planted a seedling and move on. You can do the same with seeds as well and I thought it was the answer to all my prayers. The reason you didn’t disturb the rest of the soil is because not only did the rye improve the soil, but it also helped the roots of the vegetables to grow healthy due to something called mycorrhizal fungi. This is called the no-till method as you don’t turn the soil. Apparently by turning the rye under on the three beds that I had previously done all the benefits of the green manure (root and tops of rye) that I had put into the soil just disappeared in 2 weeks. Which meant that I was not longer getting any gain from my winter planting. I should have read the fine print. Got the seedlings and the putty knife and got to work planting delicata squash, bush beans and sunflowers. Planting only took a few minutes as I pulled away the rye mulch and planted. This was the easiest gardening I had ever done and I could hardly wait until I got my new shears to do the rest of the beds. For the first time in my gardening on the west coast, something was eating my plants! Not just eating them but taking them right down to the roots. All my transplants so lovingly grown from seeds were now just sticks of their former greenness. Started a voyage of discovery and found that I was infested with slugs! I had never had a slug problem before. What I figure is that the wet, soggy, matted rye stalks were a perfect place for slugs to breed and breed they did. After hand picking a few, it was off to the hardware store to get something to take care of the problem. I got something called Slug B Gon which is similar to Sluggo that you can get in the states. 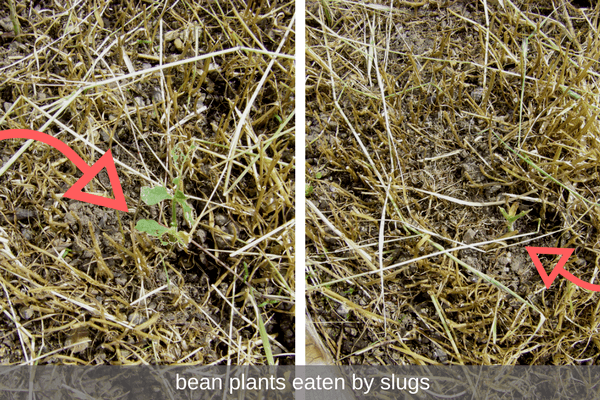 It containing ferric phosphate in a pellet form that stops the slug from eating and does no harm to wildlife, pets or birds. 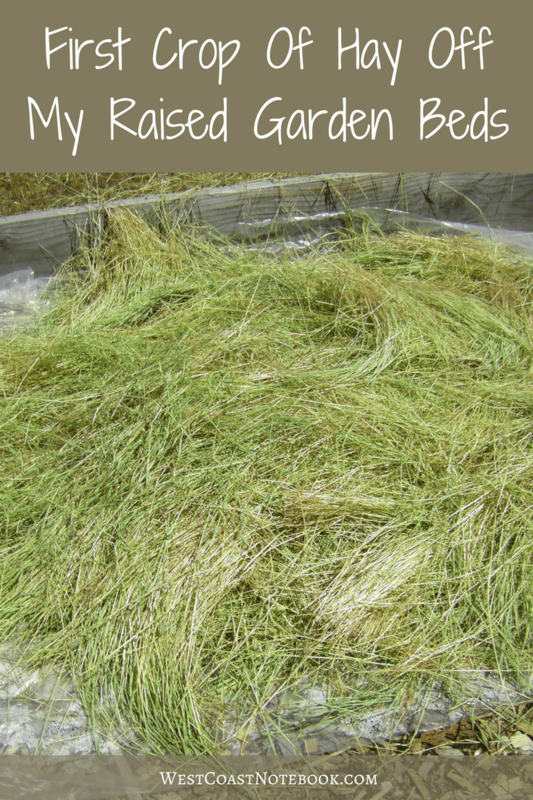 Next, and this is where the title comes into play, I got out the pitchfork and took all the rye grass off the raised bed and onto a plastic sheet on the ground. The weather has been nice and hot and I let the soil dry out a little on the bed and I’m turning the grass into hay. Meanwhile… as all this is happening, I got the new shears and started on the other beds. Easy to use, but you still had to grab a clump and then cut it as the bottom wet half was laying on the ground. 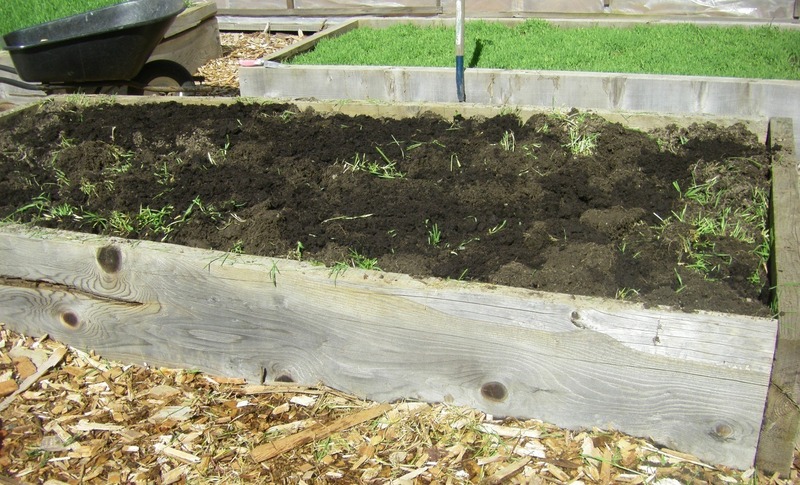 And… as this seemed to be the slug problem I got out tarps and went to work haying these beds as well. I’ve never had a problem with slugs when I had used straw before as mulch, so I figured the hay (once dried) should work the same if I let the beds dry off first. Feeling like a farmer of old, I’ve been turning the hay a couple of times a day to dry it out and rethunk the planting of my first bed. Even though it was an easy way to plant, there was one major problem. Water! By planting in the method above, I was going to have to water the whole bed in order to give the plants enough moisture. This seemed like a waste of precious water as all that needs to be watered is the roots of the veggies. So now I’m back to my old method of planting with a twist. Like the potatoes I planted (you can read about them here) I dig a hole and plant in that. Being in a raised bed, the soil drains really well so no worries about drowning and I minimise the watering by just filling up the hole with water and each individual plant gets a good soaking. The twist is that I am leaving the rye stubble and roots intact to further enrich the soil and planting the seedlings in the holes and trenches. The soil is amazingly rich and easy to dig and almost looks like chocolate it’s so dark and rich. I add in a little compost and steer manure to the bottom of the holes and plant directly into that. Once planted, the hay then goes on top around the holes. As you can see from the picture below, the trench that I dug for the beans. I have left some of the straw hanging over the top as I’m hoping to dissuade the quail. Don’t get me started on the quail. I found them today walking up and down the beans probably looking for bugs but also having a dust bath. They love the potatoes as they can snuggle in amongst the new dirt I put on top and after I planted some celery and dill today and put a net over the top, they crept in underneath it and made a wallow in the moist dirt. 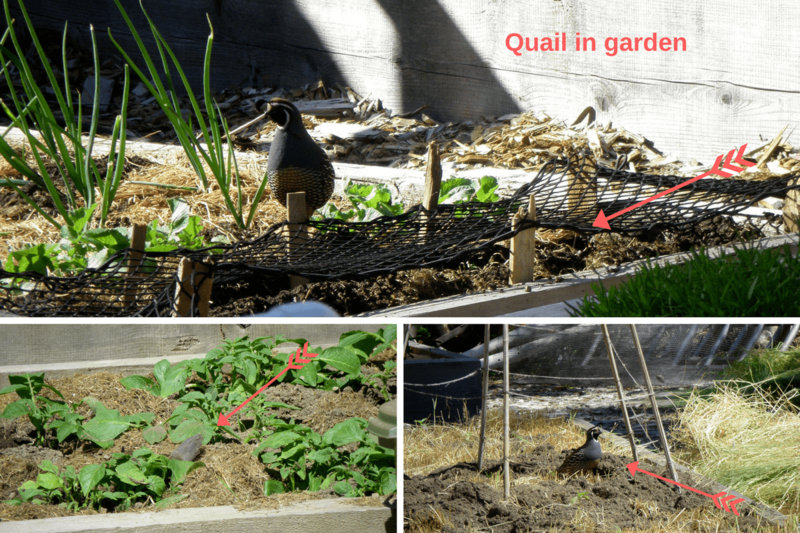 I love the quail that have decided that my backyard is their home and they are great for de bugging, but not so good on the de slugging. But… sometimes they take it a little too far. Between them and the slugs, the garden is off to a rocky start. 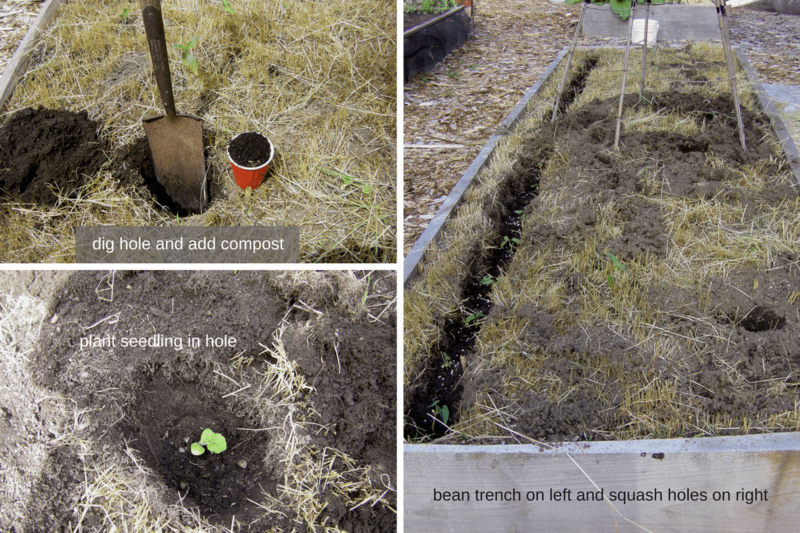 Besides the celery and dill, plantings also included a sugar pumpkin, green hubbard squash, butternut squash and some scarlet runners (beans). Last fall it all seemed so easy to plant the winter rye, but unless that garden improves substantially over previous years harvest I may never do it again. I’ve never put in so much work to get a garden prepared for planting. It’s a never ending learning curve and I’m finding that you need to do what works for your climate, soil and ease of growing. Either way… fresh veggies here we come.